Shooters/Goalies collaborate in skills camp designed to give them each a significant advantage next season. 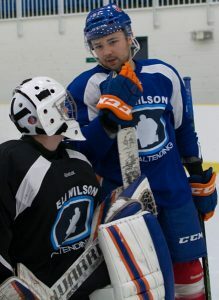 It started as a conversation between goaltending coach Eli Wilson and skills coach Darryl Belfry. 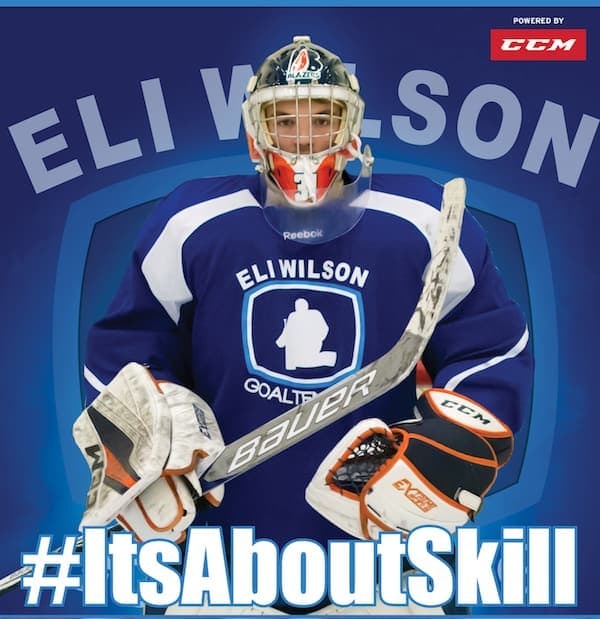 Wilson is the former NHL and WHL goaltending coach who works privately with a number of professionals and juniors and runs successful schools for goalies across North America. Belfry is a skills consultant to an NHL team as well as a number of NHL stars in the off season, sought out by players to learn the skills that separate them from their peers. Together they found exciting common ground for a new project you can be part of. The idea was simple but innovative. 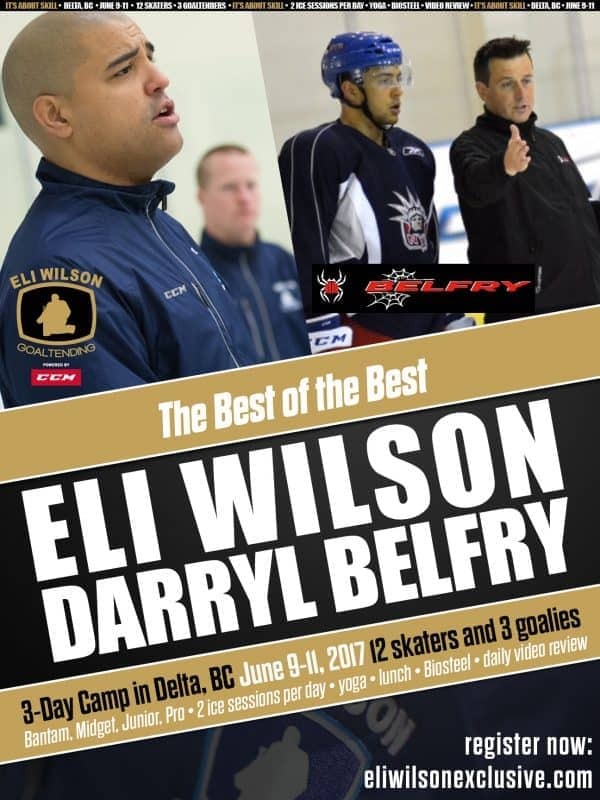 What if top goaltenders, guided by Wilson, and top shooters, guided by Belfry, had a camp together? Not the kind where goalies were mere targets for a player’s camp, or shooters simply provided shot after shot for repetitive goalie-skill drills. Instead, Wilson and Belfry believe that if they create an environment in support of each other – goalies, in effect, teaching players to score and players in turn teaching goalies to come out on top ­– that both groups would skate away winners. “This is really going to be a groundbreaking event and I’m excited about it,” Belfry said. This June in Vancouver, Wilson and Belfry will each consider a number of in-game scenarios that their athletes must face on a regular basis and where they want to know more about what their opponents are thinking. They’ll find a number where they have common ground. For example, what is the best way to approach a net drive out of the corner? The goaltender has one way of approaching it. The player has his response. It becomes a tactical and technical battle where each hopes to win despite the best efforts and execution of the other. This time though the shooters aren’t there merely to let the goaltender practice a skill they hope will provide the best chance of making a save. They won’t simply read a number of repetitions to try and get an idea of what a good shooter might be trying to do. Similarly, Belfry’s shooters won’t be trying to score on a target just doing his best to make saves as they look for holes in his game or opportunities when he makes a mistake. Instead, after a few repetitions the groups will come together to workshop the scenario. They’ll trade notes and discuss the situation. Goalies will explain to shooters what their plan is, how they hope to minimize the odds of a goal or respond to a particular read on a shooter. The players in turn will explain to the goalies what they are looking for, what situations or techniques they hope to exploit. Together the two coaches will break down video on the ice to share their secrets. Then they can go back to the drill and try to counter each person’s best moves. Dylan Ferguson of the Kamloops Blazers battles at last summer’s Eli Wilson Exclusive Prospects Camp in Edmonton. Good things happen when two high-end athletes work together on the ice. Bonus points if you can name the shooter. Hit us up in the comments below. Skills coaches have been looking at tape and breaking down plays for years and obviously have an idea what goalies are up to but can never really be sure what their mindset is. Working together and opening up at the same time they can achieve far more. In this camp scenario, it’s in everyone’s best interest to open up and support each other. A shooter might reveal to a goaltender after scoring a number of times that every time he sees the goalie transfer his weight onto one leg he knows that he will have trouble moving in that direction, giving the shooter an advantage. On the next rep, the goaltender will be more conscious of weight transfer, either eliminating the flaw or timing or disguising it in some way. The goaltender in turn might explain he’s letting a shooter lead him on a drive across the net by a foot, knowing it’s easier to drive hard in the direction he’s moving to close that space, more than to reverse his direction of travel if the shooter is given an equal chance of cutting back against the grain. Knowing this the shooter might make a slight alteration to his speed at a key point to nullify this tactic. These two simple examples but illustrate the point: in the frenetic pace of daily practices both athletes might have a decent idea of what is happening but in this camp they’ll have time to break it down for each other, to know for certain what the other is thinking and to consider ways of gaining the advantage for the next reps. The game can literally evolve at a different pace for the campers because of their intent and directed collaboration. At this new camp, casual collaboration between shooter and goalie will be by design and deliberate, in hopes that interactions like this one will benefit both sides for when they return to their home teams. While it’s great to learn from each other, this sets up the ideal situation for both athletes, one that is sure to build confidence. If both athletes know exactly what the other is going to do then the play ultimately comes down to execution. Who can execute better in the moment. This camp Wilson and Belfry are creating might have some from the goalie or shooter unions up in arms – trading state secrets, as it were. But those who attend this unique camp will come home with a distinct advantage when they return to their leagues. Simply put, goalies and shooters will trade secrets for a week and return home with skills and knowledge others in their league won’t have. In a world where every athlete is looking for that edge, Belfry and Wilson just may have found a recipe that will provide it. At least for the 18 shooters and 6 goaltenders fortunate enough to take part in this camp in June in Vancouver. Could the game evolve through innovation in one weekend? It will for this group of shooters and goalies. NextDangerous Net Drives: Should The NHL Be Concerned?